My wife and I wanted to purchase a workout machine for our home. 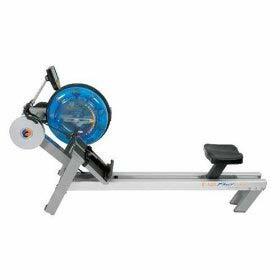 What gives you a better body work out a elliptical trainer or a water rowing machine? Or do you have a suggestion on what other machine to buy. PS the two machine I was looking at are octane elliptical or fluid technology water rower! Both elliptical machines and rowing machines are capable of elevating your heart rate sufficiently enough to achieve the intensity, and duration you need to stay fit as well as improve your cardiovascular fitness. You may want to think of the activities rather than the machines. If you go rowing in a lake every day, there is little point to owning a rowing machine. If you often ride bicycle, cross country ski and go for walks/jogs, the elliptical gives you some of the same benefits which would make the rowing machine a better choice. 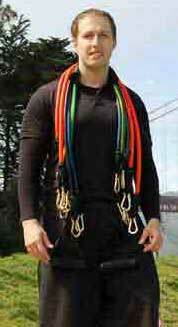 Which Machine can give you a "Better Workout" ? There is no doubt that rowing machines are superior when it comes to high intensity cardio workouts. 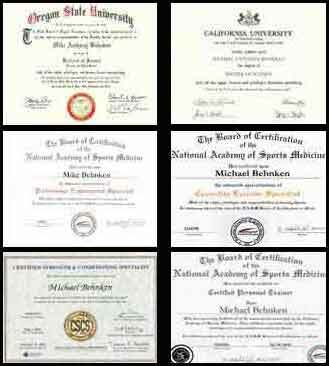 You will never see a professional athlete who requires extreme cardio endurance working out on an elliptical. 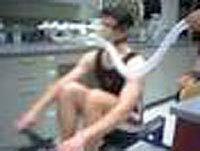 Rowing machines are often used in VO2 max tests which test and individual's maximum aerobic threshold. Often times the high intensity workout which the rowing machine is capable of is a double edged sword. Even though movement is controlled by the user on the elliptical machine, the intensity of an exercise session on a rowing machine is completely dependent upon the user's ability to maintain a certain cadence. Someone on an elliptical can sit back and be lazy so to speak and let the program change intensity by altering ramp height and resistance and still burn a significant amount of calories while someone using a rowing machine really has to be motivated to keep up the cadence required to get that "better workout". 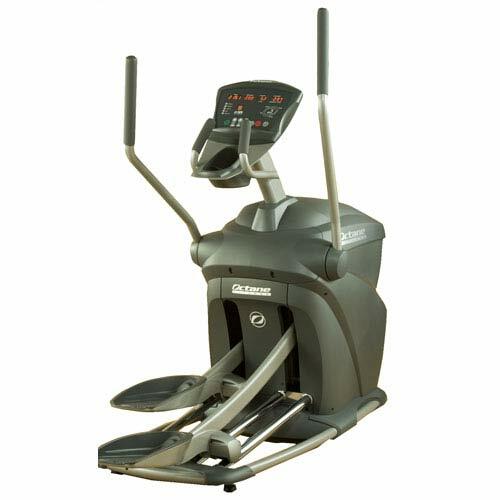 Elliptical machines have more moving parts and are more complex pieces of equipment which means they are more likely to need maintenance than a rower. Elliptical machines non-impact exercise is going to be better if you or your wife has knee problems, back problems and especially tight hip flexors as rowing involves lots of hip flexor work. Elliptical machines offer iso-lateral movement (one side at a time) as well as many adjustments which can vary the movement of each cardio session while the rowing machine offers the same exact movement every time you use it. Elliptical machines have more programmable elements which can make each exercise session unique while rowing machines only have various intervals. Elliptical machines are usually silent while rowing machines will be making some swooshing noise. If feng shuii a concern elliptical machines take up more volume and vertical space in a room. If nothing previously mentioned is a consideration and it's a toss-up consider that if self and your wife are extremely competitive and motivated type A people, I'd go w/ the rowing machine. If you are more more laid back, type B personalities I'd recommend an elliptical. Any chronic knee/back or posture problems are reasons I'd recommend the elliptical over the fluid rower as well.